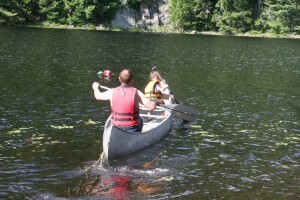 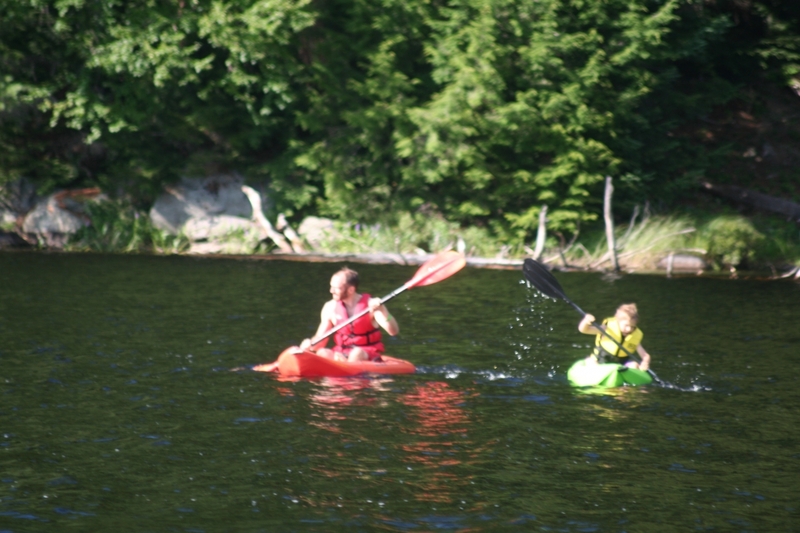 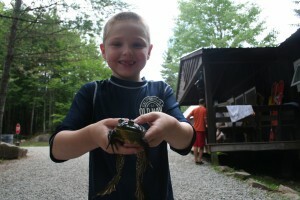 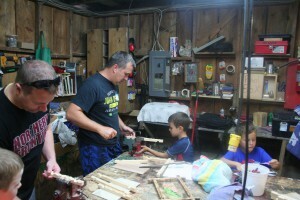 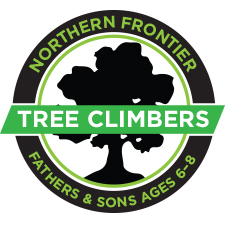 The perfect introduction to Northern Frontier Camp for both dads and boys! 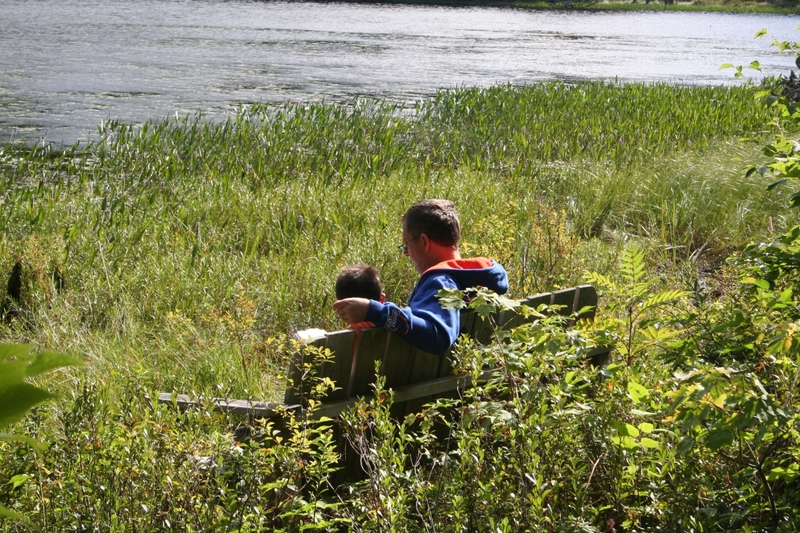 Enjoy fun-filled purposeful quality time with your son, focused on God's breath-taking creation and activities designed to strengthen your father/son bond. 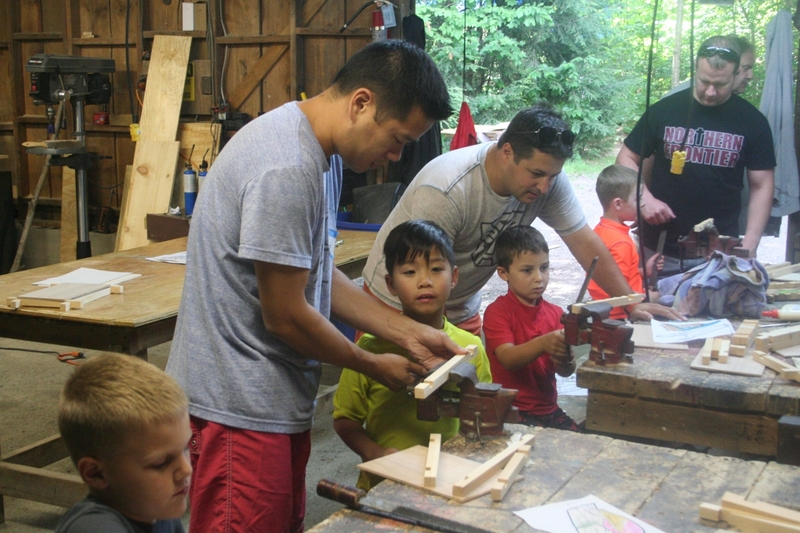 You and your son will explore God's Word together, shoot a bow, air rifles, swim, fish, play on the aqua-jump, tackle the low ropes course, climb the climbing wall, and build in our woodshop, and more. 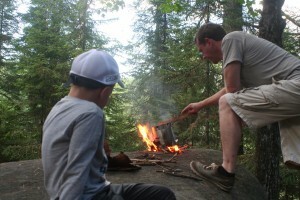 The boys will create friendships with the other boys and the dads will fellowship in the evening after a rip-roaring campfire. 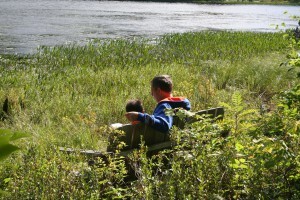 You will be sleeping in a cabin with other father/son pairs. 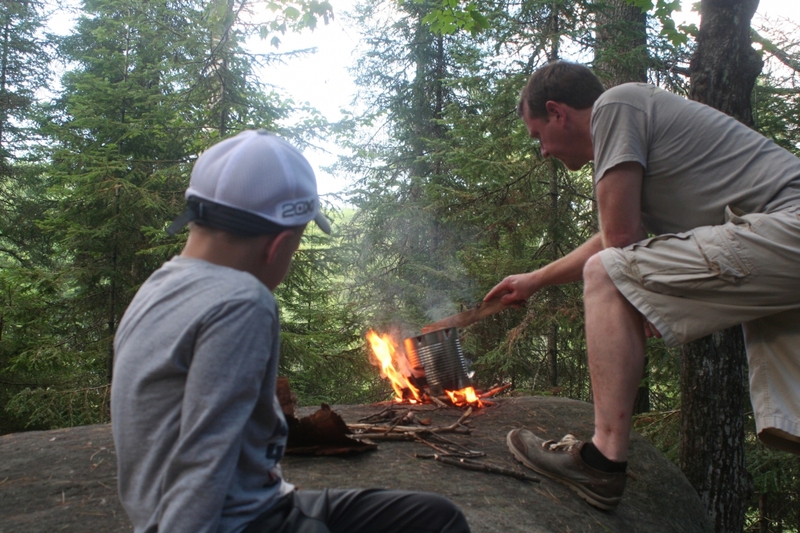 And, although we are in the middle of the wilderness, you will have private hot showers and enclosed flush toilets just a short walk from your cabin!